Niel le Roux is an Emeritus Professor of Statistics at Stellenbosch University and Sugnet Lubbe joined University of Cape Town as Associate Professor in Statistical Sciences in 2009 after spending thirteen years as statistician in industry. 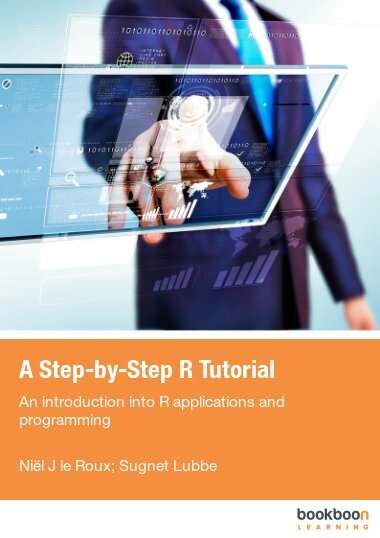 Both authors have more than twenty years’ experience with the S language – first through the SPlus platform and since 2001 by using R. They have programmed extensively in R, applied R to analysing data in many diverse fields of application including industry and they have co-authored several R packages. They also conducted several workshops and seminars involving programming and practice of R. Currently both are involved with teaching R modules for postgraduate students in statistics.